Cosmax Inc., a South Korean cosmetic material developer and original design manufacturer, said on Tuesday it has kicked off producing 50 halal-certified products at its Jakarta plant in Indonesia, gearing up its efforts to capture the burgeoning global halal cosmetics market. The company took the lead in adapting to halal standards by becoming the first Korean cosmetics manufacturer to receive halal certification from Majelis Ulama Indonesia (MUI), one of the world’s three major halal certification agencies in March. Halal cosmetics must be made without surfactant, silicone compound, antiseptic, pig-derived collagen and alcoholic extract. Manufacturers to produce halal cosmetics are required to be equipped with a line only for halal products and manage raw materials separately. This is why halal cosmetics are more expensive than ordinary ones by 20 to 30 percent. But halal-marked cosmetics are widely accepted by Muslim women, meaning the manufacturer can build reputation and brand loyalty quickly. The global halal cosmetics market is estimated to be worth more than 100 trillion won ($88 billion), according to Cosmax. This market is expected to grow at a compound annual growth rate of 13.6 percent between 2014 and 2019. The Indonesian cosmetics market is valued at about 2 trillion won, and given the fact that 87 percent of the country’s 250 million population are Muslims, it is an optimal destination to test the performance of Cosmax halal products. Cosmax deals with color and skin care cosmetics in Indonesia. Local consumers prefer color cosmetics with enhanced sun protection, while skin care products with vegetable oils are gaining popularity. The Korean cosmetics ODM this month started to supply its halal beauty and skin care products to major cosmetics brands in Indonesia including global cosmetics giants L`Oréal and Unilever, as well as local brands Mustika Ratu and Zoya Cosmetics, according to the company. 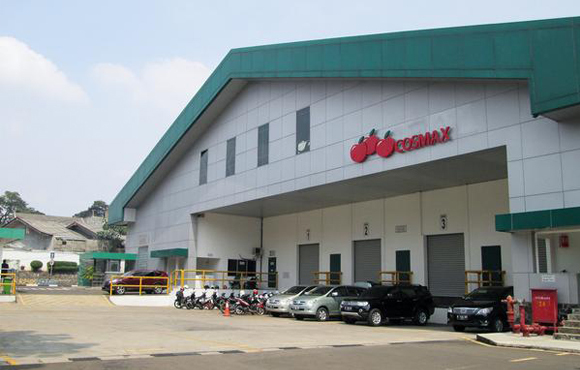 Cosmax acquired an Indonesian plant from L`Oréal in December 2012 and received approval for cosmetics manufacturing in March 2013 from the local government. Cosmax generated 3.5 billion won in sales in Indonesia last year. It expects halal cosmetics to boost local sales, which are estimated to reach 30 billion won by 2020. SEOUL- Cosmax, one of South Korea’s top three cosmetics’ original design manufacturers, will cater to its Muslim clients with halal products. 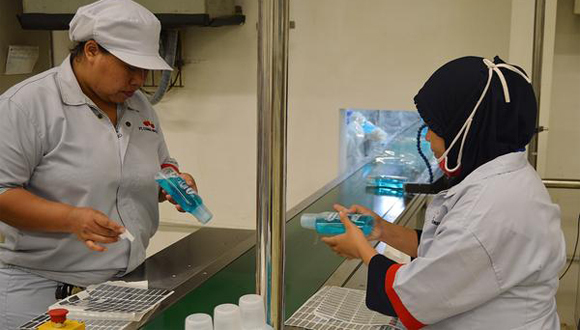 Its Indonesian subsidiary has completed developing more than 50 beauty products that were approved by Majelis Ulama Indonesia – one of the three internationally recognised custodians of halal certification – in March. It is a first for a South Korean ODM. The halal cosmetics will be supplied to international beauty and personal-care brands including L’Oreal and Unilever as well as major Indonesian labels such as Mustika Ratu and Zoya Cosmetics. “We will introduce cosmetics tailored for local culture in Thailand and Malaysia by the end of this year,” said Lee Geon Il, head of Cosmax Indonesia. The halal cosmetics market in the world is estimated to be worth 100 trillion won (S$119 billion). The industry is slated to grow at an average 13.6 per cent a year until 2019.